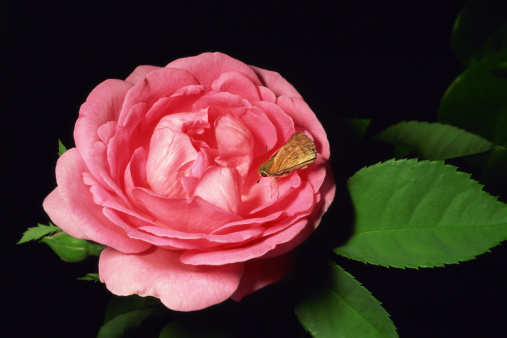 Aphids are one of the most common insects known to attack roses. The most common variety is the rose aphid (Macrosiphum rosae). 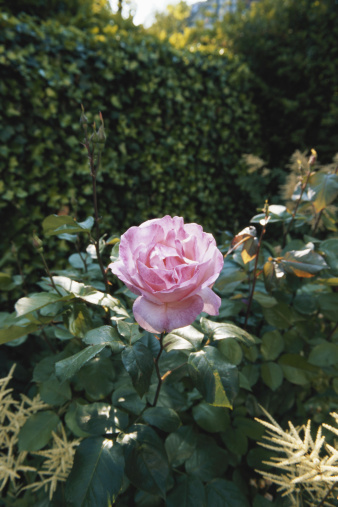 You can use common ingredients in your home to make a spray to stop the attack of the rose aphid and other members of its aphid family. Use homemade sprays to limit the use of chemicals when treating aphids. Start with a first line of defense. 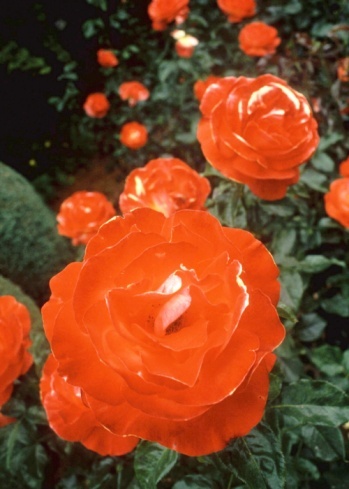 Give your rose bushes a medium to hard spray of water from your garden hose to get rid of the aphids. Make a spray that only contains dish detergent and water. Use a ratio of 2 tbsp. of dish detergent for every gallon of water. The ingredients should work to dry out the aphids and kill them. Take a 1-gallon container and fill it with water and basil clippings. Let the container "steep" for a week. Add 2 tbsp. of liquid detergent and fill a spray bottle. Store and use this spray as a deterrent and preventive measure -- versus a solution once roses are infested. Use common "kitchen cupboard" ingredients to make a spray. Use a spray bottle and mix one-quarter tsp. of vegetable oil, one half tsp. of dish detergent and 1 qt. of water. Spray the roses, continually, every ten days.